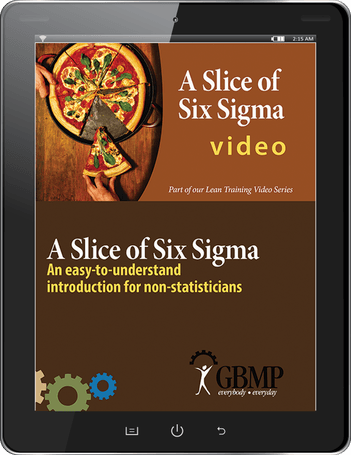 GBMP's Intro to Six Sigma training video. GBMP also provides public and private Six Sigma White, Yellow, Green & Black Belt Certificate Courses. Why Six Sigma with TPS? The goal of Six Sigma is the elimination of process variation. Typical applications of Six Sigma address variation caused by poor design, unstable parts and materials, unreliable measurement systems, insufficient process capability or non-standardized skills and behaviors. A person or team with an understanding of Six Sigma is capable of resolving these problems and effecting real change - from making data-driven decisions, to meeting customer requirements, accurately measuring processes, reducing variation, predicting future performance, assessing actions and keeping processes under control. 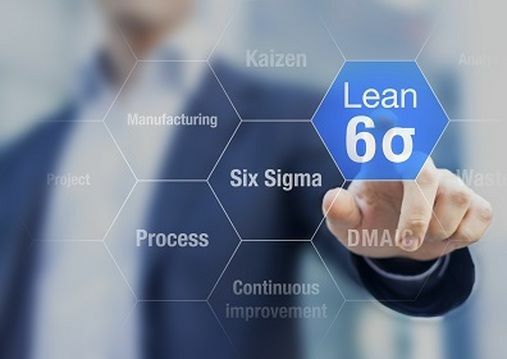 Combining Six Sigma's variation reduction, statistical analysis and problem solving tools with Lean Manufacturing countermeasures enables employee teams to build Six Sigma Process Maps, identify Key Process Inputs that drive Customer Requirements and reveals Quality bottlenecks and process yield issues. 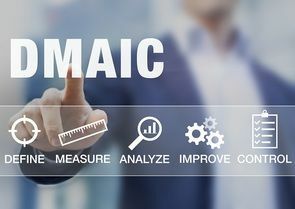 Six Sigma uses the "DMAIC Road Map" (similar to the TPS PDCA cycle) to identify the steps in the process - Define, Measure, Analyze, Improve & Control - alongside powerful variation reduction and problem solving tools such as Gage R&R, Failure Modes & Effects Analysis (FMEA), and Statistical Process Control. What is Six Sigma? Six Sigma is a data-driven methodology for eliminating defects in any process. Six Sigma originated at Motorola where product field failures were found to be highly correlated to massive variation in their internal processes. Motorola began a manufacturing-focused campaign to prevent defects by controlling and optimizing processes. Allied Signal followed suit broadening the use of Six Sigma to non-manufacturing areas, seizing the opportunity to use it as a management tool. General Electric's Jack Welch is the most widely known proponent of Six Sigma who, in 1996, set about to save hundreds of millions of dollars and change the entire corporate culture of one of America's largest and most respected corporations. Why should you consider adding Six Sigma to your CI program? Because it will help you reduce variation, improve reliability and repeatability in your processes, and avoid the significant costs of poor quality. Combined with a Continuous Improvement effort, Six Sigma results for your company can be outstanding. Here are just a few case studies where GBMP clients saved MILLIONS OF DOLLARS after making a small investment in a Six Sigma education for some of their employees.